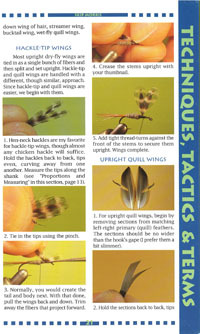 Five standard flies are tied step-by-step, with captions and photos, and all the basic tying techniques are covered in depth. 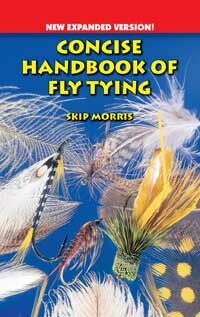 Also, fly proportions, tying materials and tools, and hook design and selection are explained, and at the end of the book is a collection of even more fly designs to tie (thirteen additional flies in all). 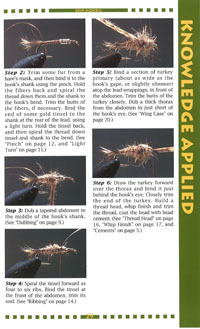 Top left: specific fly-tying techniques are shown and described in detail. 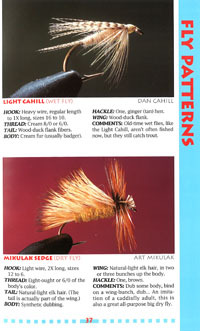 Top right: the tying of proven specific flies is also shown and described in detail. Right: thirteen additional fly designs are presented at the end of the book.